Transcend began with the specific goal of helping kids. And that hasn’t changed. Proper early childhood development is essential to a healthy, productive life. We take pride in the role we play enhancing the ability of children to walk, run, jump and play. To achieve those goals, our clinical team works closely with healthcare providers, therapists, school systems and hospitals to identify your child’s specific needs. With services ranging from cranial remolding to gait analysis, we’re able to literally help your child from head to toe. We want kids to be kids. When it comes to pediatric orthotics, our certified clinicians have extensive experience working with children. We will evaluate, design, and provide the most appropriate orthotic device. 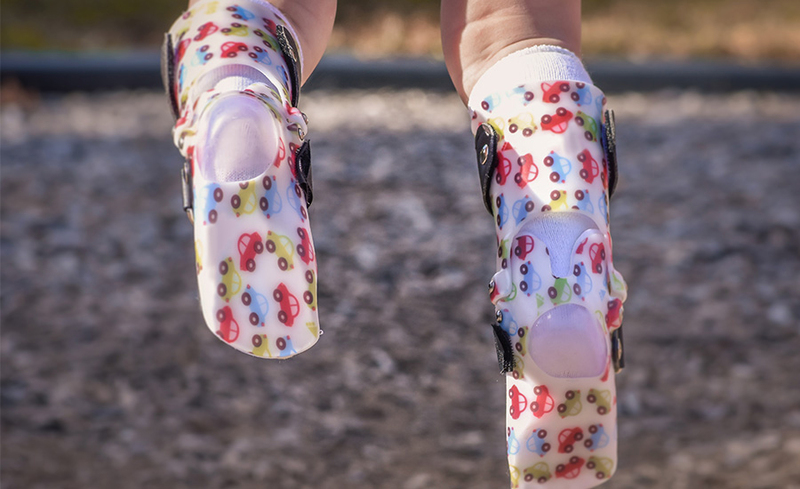 With products like the SMO, AFO, DCO, Cranial Helmet, and many more, we are able to find the best solution to assist each child with a wide range of mobility challenges. As a parent, we understand that you will have questions about the device and treatment plan. Our clinicians are always here to help! Working with children requires a specialized, compassionate approach. Our experienced prosthetists will put both you and your little one at ease throughout the design, fabrication, and fitting process. 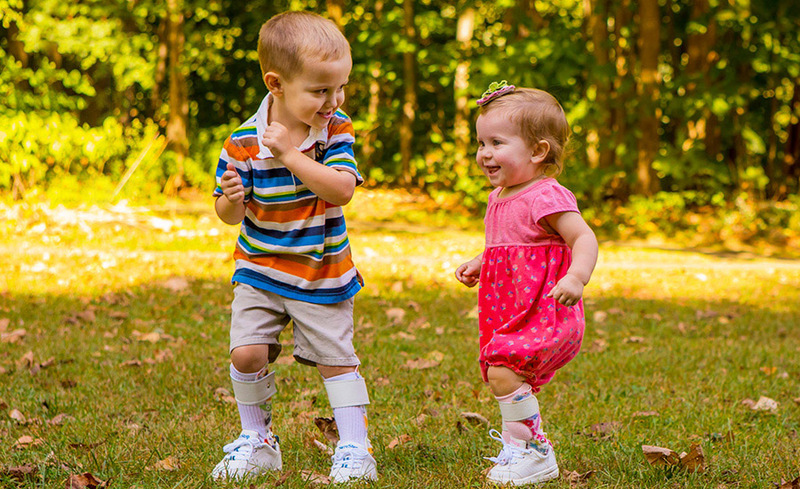 We offer both upper and lower extremity prosthetics to meet your child’s needs. This service is available in select offices. All infants have a flexible skull. Because of this, flat spots or an abnormal shape may form, causing long term complications with visual and auditory development. 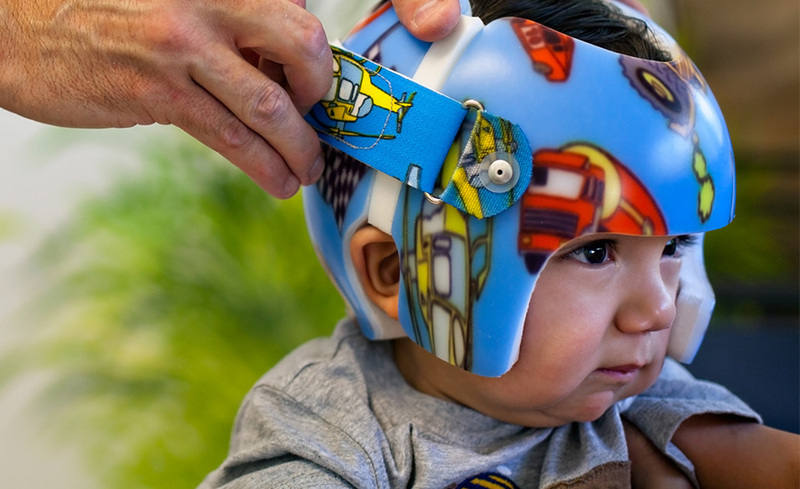 A cranial helmet is designed to gently and painlessly guide the skull into a healthier shape. 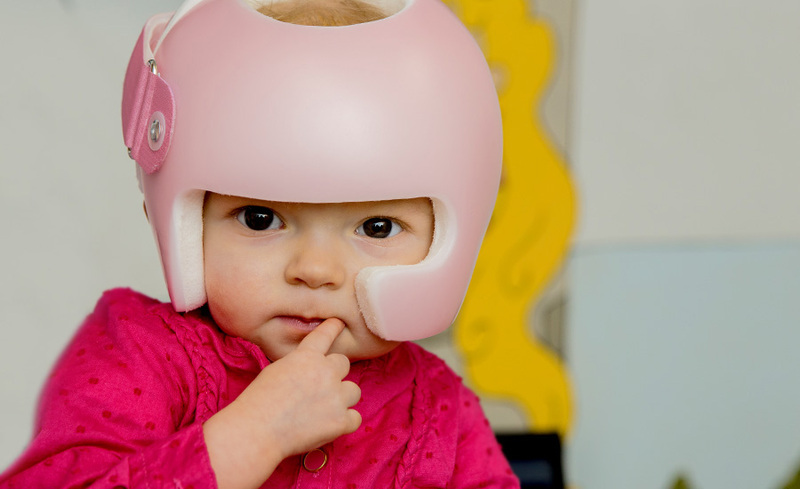 Our clinicians are there every step of the way to monitor your child’s cranial development and determine, through a scan, if a remolding helmet would be beneficial. This service is available in select offices. He was afraid of walking, he would always fall. A couple days ago I turned around and I saw him [walking]… I want to thank you for being very patient and to give him the opportunity.